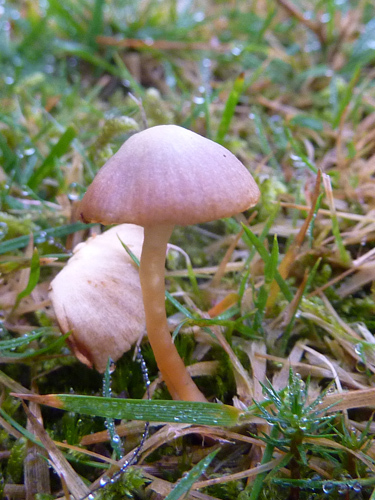 First, at Linford Bottom in the morning, tiny fungi, still around in January! 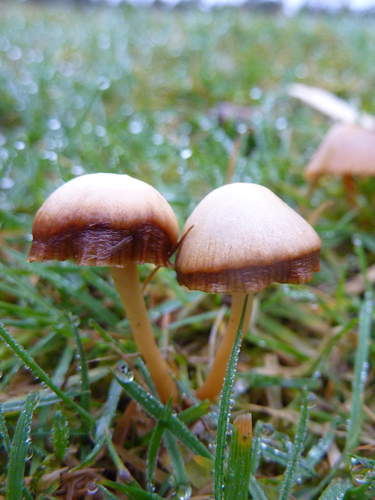 Developing little dark brown edges. 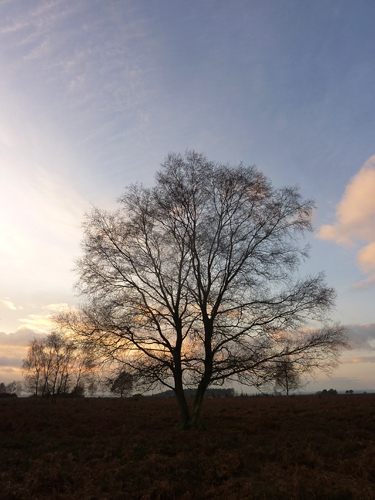 Late afternoon finds us at Moyles Court. 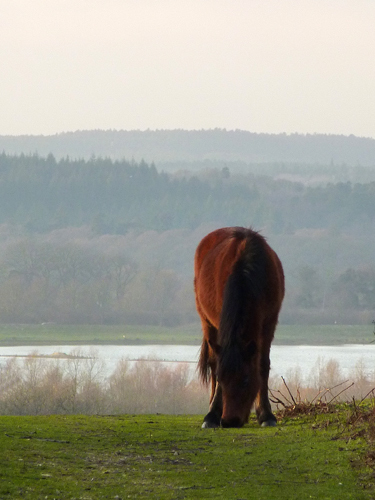 At the top of the hill, a New Forest Pony grazes with Blashford Lakes behind. 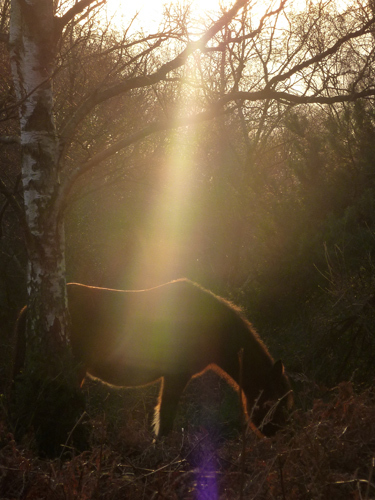 Another pony grazing among the bracken, trees and sun rays. 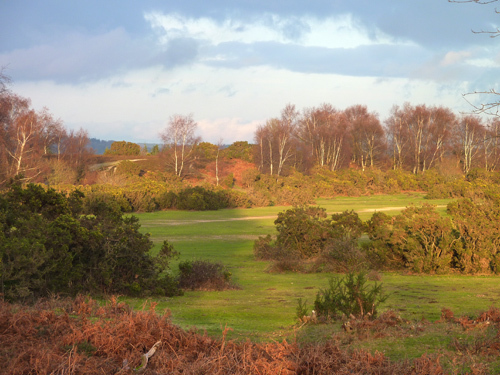 The old gravel pit is bathed in evening sunlight. 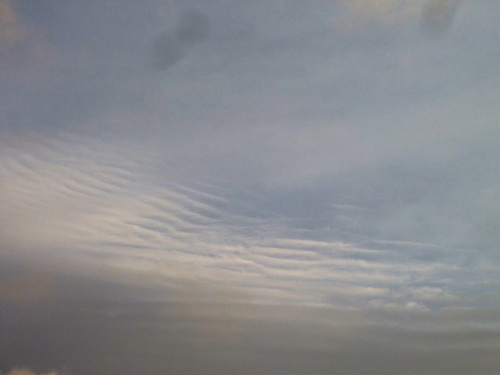 Cirrocumulus Undulatus – I think. 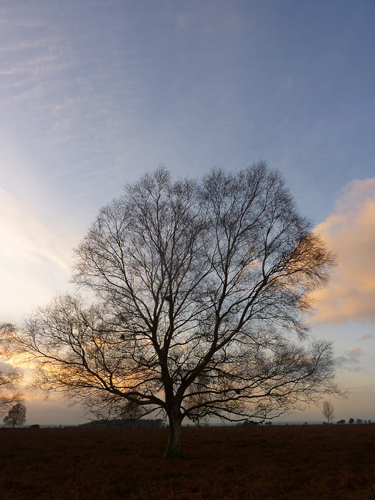 Lovely, whichever type of cloud it is! 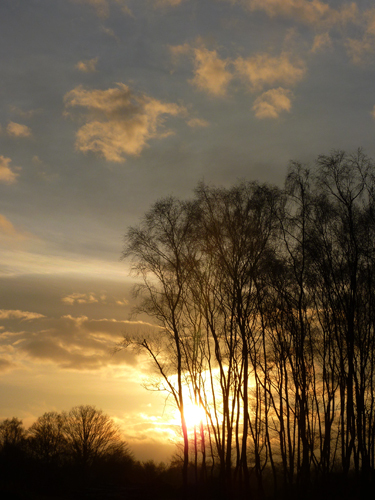 The sun starts to set behind the birch stand at the edge of the gravel pit. 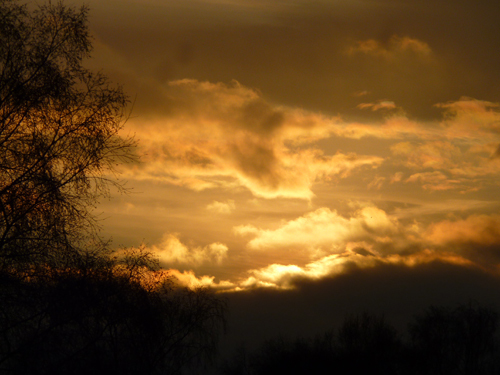 Further round, the setting sun is setting the clouds on fire. 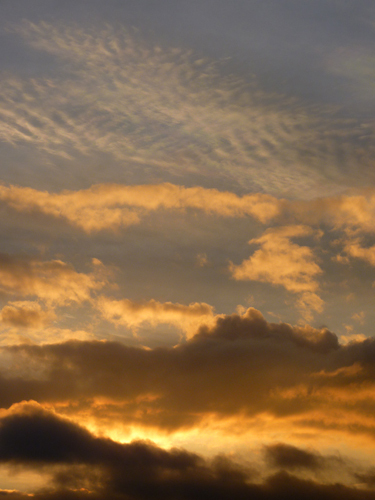 This evening is a cloud spotters heaven! 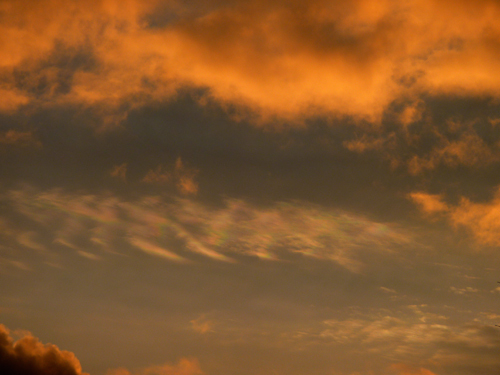 Even iridescence in the clouds – rainbow effects as light is diffracted through the cloud.